As former scandal-plagued Interior Secretary Ryan Zinke resigns, due to pressure from the White House and President Trump to avoid being fired, rumors as to who will be the next Secretary of the Interior are swirling. 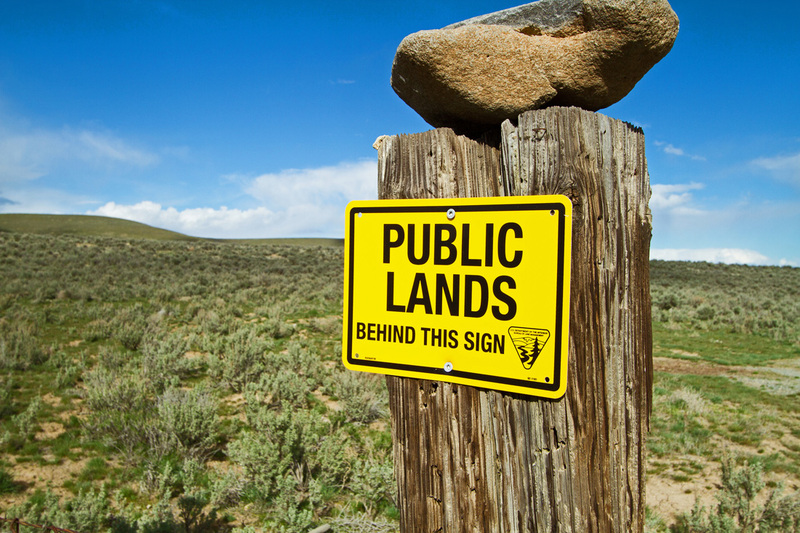 Will the nominee oppose to the sale and/or transfer of public lands? President Trump’s son, Don Jr., urged his father to nominate Ryan Zinke as Interior Secretary in large part because Zinke claimed to oppose the sale and/or transfer of public lands. Still, some Interior bureaus have recommended the disposal or sale of public lands under Zinke’s tenure. Any potential nominee should clarify the administration’s position and come out strongly against the sale and/or transfer of public lands and focus on increasing public access to those lands. How will the nominee end the culture of corruption that permeated Interior under Zinke? Will they rid the department of the conflicted political appointees Zinke hired and replace the industry representatives he appointed to boards? Scandals, corruption and special interests favors were hallmarks of Zinke’s tenure, with many of his political appointees and board appointments coming from special interest backgrounds as documented on www.departmentofinfluence.org. The next Interior Secretary must work with Congress to do ensure Zinke’s and Trump’s political appointees aren’t doing special favors for their former employers while holding those who have accountable in order to restore the American people’s trust in the country’s largest land managing agency. Will the nominee run a transparent, accountable Interior Department and solicit public input on departmental decisions? Zinke made the promise to be transparent but then made decision after decision behind closed doors often in an apparent attempt to exclude the public. In order to ensure decisions include the public with ample notification and participation that weighs public sentiment, any nominee should immediately review all instructional memorandums and/or agency rules issued during Zinke’s tenure that shut the public out of public land, wildlife and national park decisions. Will the nominee restore science-based decisions that honor long-standing relationships and agreements without handing over America’s public lands to special interests? The practice of altering and suppressing science-based decisions must end under any new secretary. Recently, Deputy Secretary David Bernhardt broke the hard-earned 11-state cooperative sage-grouse management agreement. The overhaul benefits special interests and is contrary to not only science but also commonsense efforts to prevent the bird’s listing. The department also prioritized resource development at all costs in critical habitat and in proximity to national parks and protected public lands by limiting environmental review and scientific assessment while ignoring the importance of the outdoor economy to local communities. The department also eliminated the methane waste prevention rule that will cost taxpayers upwards of $800 million over the next decade. These rules and protections should be reinstated. Will the nominee commit to restore and permanently fund the Land and Water Conservation Fund (LWCF) and end Zinke’s harebrained efforts to reorganize the department and privatize our national parks? Funding for the most critical public access and parks fund, LWCF, expired under Zinke’s leadership, losing some $192 million for parks and public access so far. The next secretary must commit to getting this legislation passed and permanently funded so the program does not lapse again. They should also commit to ending any national parks privatization schemes Zinke had in the works and halt department reorganization plans until a thorough analysis is done on any potential efficiencies that would be gained with the consultation of Congress. There will much more clean-up to do after former Secretary Ryan Zinke rides his horse into the sunset, but getting a potential nominee to answer these urgent questions and promise to adhere to their answers is a good start to repairing the public’s trust in the Department of the Interior. Am afraid some of the damage Zinke did cannot be repaired. He and those who helped him belong in prison for life. Someone needs to drag the president out of Trump Tower and let him actually experience the magic and beauty of what’s left of America’s Wilderness and Wildlife. You don’t get that on a golf course. To be honest – I doubt he has any experience with nature, nor would comprehend the true magic & beauty that its made up of. I’ve been thinking lately his idea of “wild” probably means nothing more than a manmade putting green was mowed one sixteenth of an inch too tall for his liking. I’m sure that is the only concept of “nature” he has any experience with – a golf course. As he says – SAD! Hah. Or all of those “invasive species” outside the WH door trying to rob him of his gold plated stool and Twitter machine. We the People should issue him a challenge and Double Dog Dare him to get out there. We must stop the sale of these horses! Can we demand the new House take action on this? Do we start bombarding the Forest Service? This is disgusting to the max!